Do you have a specific dental need? Or just routine cleaning/check-up? 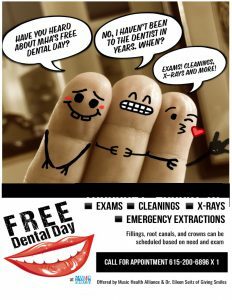 This entry was posted in Uncategorized and tagged Dental, Free Dental Day. Bookmark the permalink.